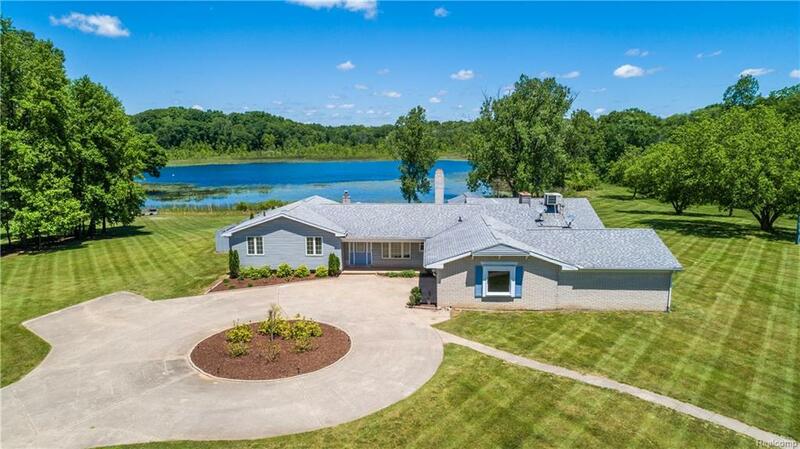 Your new dream property, with over 20 acres located in the Chelsea school district features: a private 15 acre lake, an inground pool, 2 pole barns, a beach volleyball court, a hot tub, and a greenhouse. Twamley lake is up to 18 feet deep, with plenty of fish for anglers to catch. This sprawling ranch has a finished basement and an attached 41x24 garage. The home is surrounded by the Waterloo and Pinckney state recreation areas for the avid outdoorsman. Come see where your new adventure begins!